if something is exactly the same, then their is problem, if you alter somethings, then it becomes yours, but just to be sure I would chech on that. Don't want to get sued. Yeah, the cat is going to get into trademark issues, but I think it's a cool concept. What do I get with a deluxe hug. Haha if I saw a hot girl wearing this I'd probably hand her two bucks. Felix the Cat! One of my favorites! 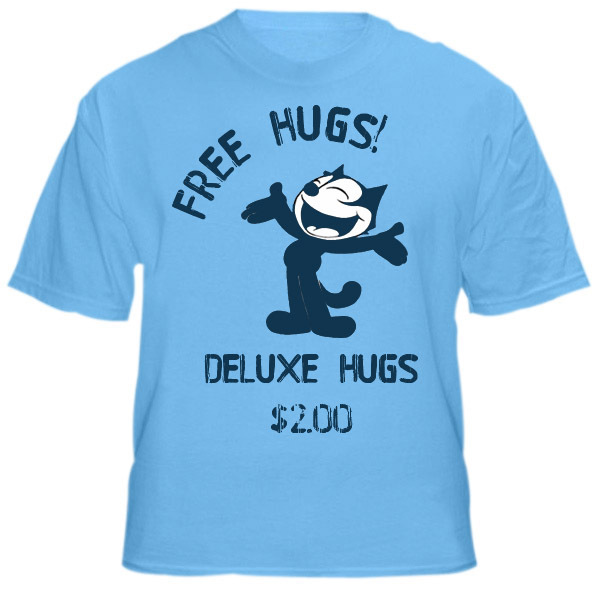 OK, what is a deluxe hug?